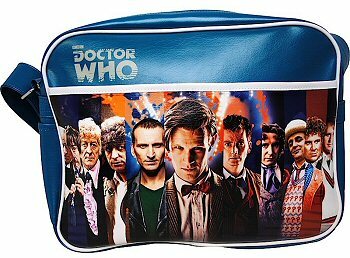 This Doctor Who retro bag is a great bag for school, college, or sports activities, and big enough to fit A4 files. In addition to a large main compartment, it has a front pocket and adjustable shoulder strap. This style of bag, like the duffle-style bag that preceded it, were very popular with school children in the 1970s. 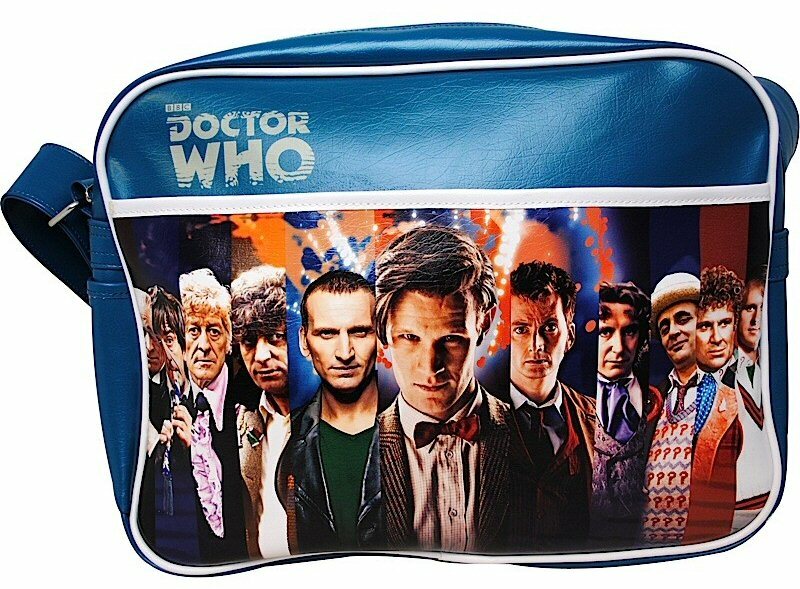 This Doctor Who bag is officially licensed Doctor Who merchandise. Made from leatherette PVC. Size: 37 x 27 x 13cm.